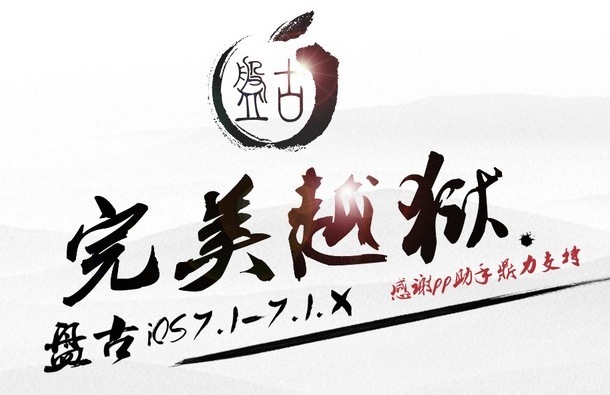 A jailbreak for iOS 7.1.1 has been released by a called Pangu. 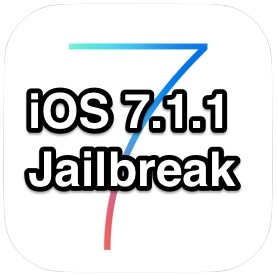 The untethered jailbreak tool supports just about any device capable of running iOS 7.1.1, including most new iPhone, iPad, and iPod touch models. The jailbreak is currently only available for Windows, with a Mac OS X version apparently in the works and due out soon. While there are plenty of reasons not to jailbreak, most users who want to perform the modification to their iOS gear have a compelling reason to do so. Nonetheless, users should be aware that the Pangu jailbreak has some controversy surrounding it as jailbreaks often do, so if it’s something you’re interested in pursuing, then do proceed with adequate caution. Being unable to test this particular release, this is not something we recommend. We’ll update with a proper Mac walkthrough when the version becomes available. In the meantime, jailbreaking a device running iOS 7.1 or iOS 7.1.1 with Pangu looks pretty easy as long as you have a Windows PC and don’t mind fishing around a bit with a user interface that isn’t completely optimized for a western audience (for the curious, the UI looks off because most US and EU users don’t have Chinese characters installed on their computers). The video below from 9to5mac shows the walkthrough process of jailbreaking iOS 7.1.1 using the PanGu tool in Windows. It looks easy enough if you don’t mind the kind of sketchy nature of this release, and the fact that it may be in a language you’re unfamiliar with. Without a Windows PC or at least a Windows installation in VirtualBox or Booth Camp, most Mac users will be out of luck until an OS X version becomes available. We’ll be sure to update when a Macintosh update is out. Personally, I wouldn’t touch it with a ten foot pole. Wait until an iOS 7.1.1 Evasi0n or a iOS 7.11. Redsn0w version is out, it will be reputable and for Mac and Windows. Install some dodgy looking software with Chinese characters plastered all over it? Oh wait, you were serious, let me laugh harder. HAHAHAHAHAHAHAHAHAHA!!!!!!! I tend to agree with you here, not being able to read and understand the installer makes it feel quite dodgy. It’s not so much that I can’t read it that would be the problem…it’s that it’s apparently from China. Yeah, why not just cut out the middleman and send my SSN, credit card numbers, and bank account numbers and passwords directly to some random Chinaman. Really, talk about conspiracy……… What makes you think Evaders code is clean… Have we seen the source code….